This pretty pair of dichroic earrings have been sculpted with my signature bow like sterling silver design. 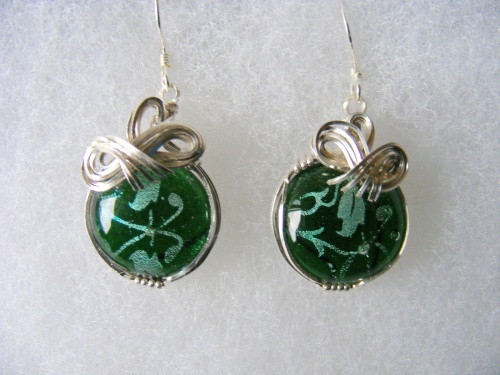 Beautiful pieces of forest green background with light green leafy like designs floating across the earring. Measure 1 1/2" from top of wire to bottom and almost 3/4" wide.